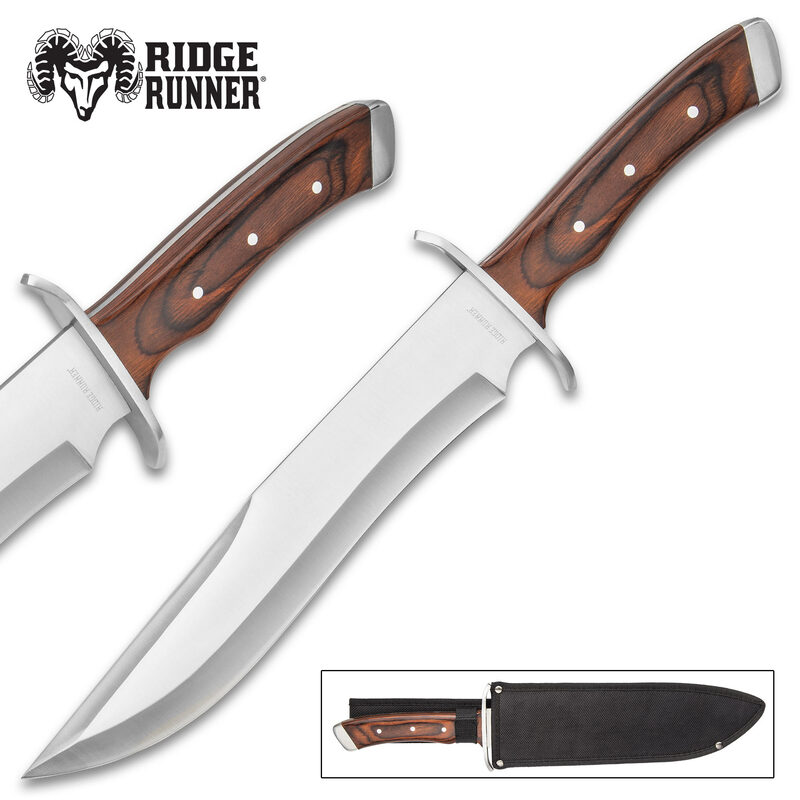 Ridge Runner Tallulah Gorge Bowie Knife With Sheath - 3Cr13 Stainless Steel Blade, Full-Tang, Pakkawood Handle Scales - Length 16” | BUDK.com - Knives & Swords At The Lowest Prices! Hunting, camping, hiking or just trying to survive, the Ridge Runner Tallulah Gorge Bowie Knife is a hefty, staunch fixed blade knife that will be a capable companion when you’re out in the wild. 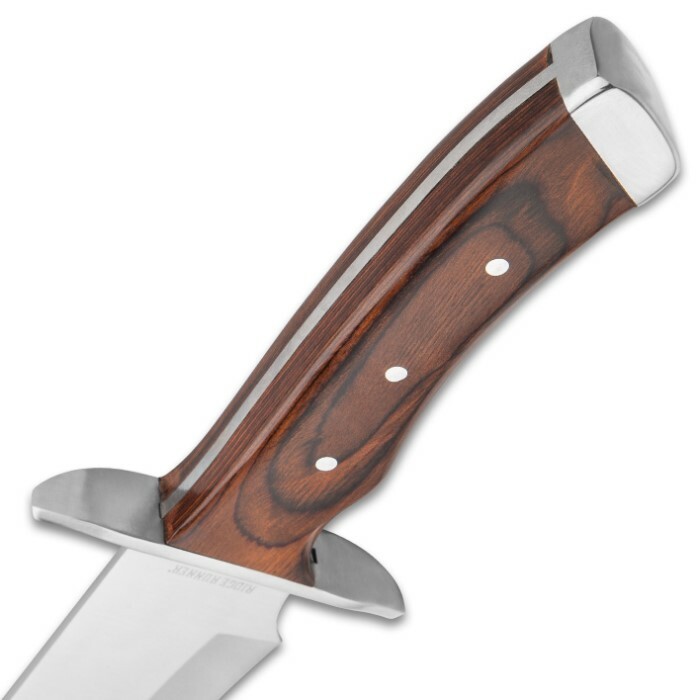 The bowie has a razor-sharp, 10 1/4” 3Cr13 stainless steel, full-tang blade with a beveled edge and a satin finish. 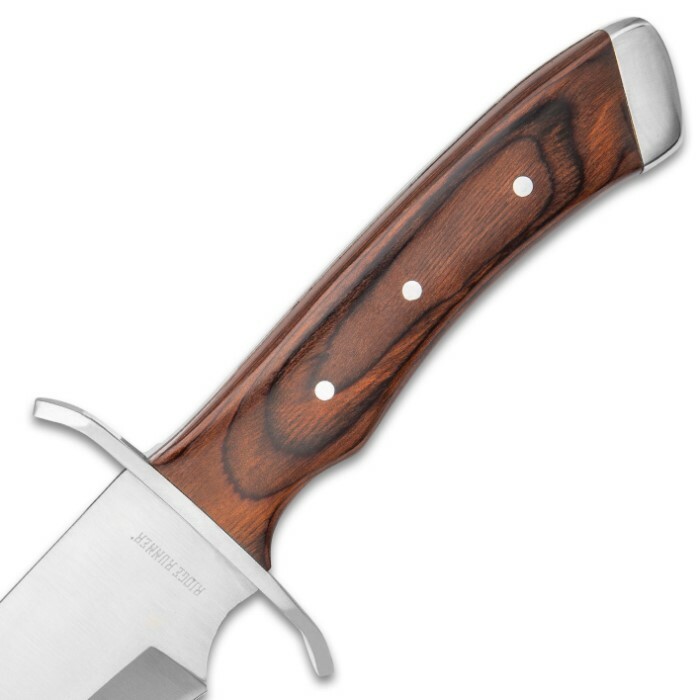 It has rich, wooden handle scales that are secure by stainless steel pins, which complement the stainless steel pommel and guard. 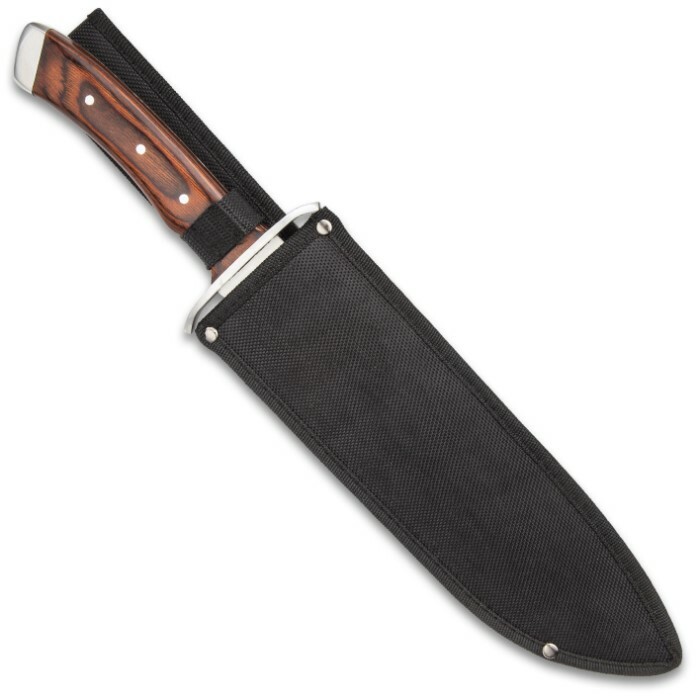 The massive bowie knife comes housed in a tough, black nylon belt sheath for ease of carry and the knife is 16” overall. Is well balanced, sharp, and sheath is sturdy.